How Are Rovio And Stardoll Doing On Facebook? To answer that question we’ve been in touch with AppStats to analyze how these entertainment giants are doing. Stardoll of course is one of the more successful online networks aimed at teenage girls and Rovio has been huge on Facebook due to Angry Birds Friends. Angry Birds was “leaked” to Facebook on February 13th. Already in March the company passed 10 million MAUs (monthly active users). Today, according to AppStats, the company has come down off its highs, but is still above 14 million MAUs. According to the data, it seems that Rovio reached its peak in May on Facebook with some 25 million MAUs. Despite the downturn in MAUs, Rovio has kept steady with regards to daily active users (DAU), as can be seen in the graph below. During the last few months, it has averaged at about 2 million DAUs. And, as daily active users per monthly active users, the percentage has actually gone up proportionally. This speaks for the fact that as people who have merely tried out the game leave, Angry Birds does seem to have a steady fan club that keeps on playing the game from month to month. Stardoll on the other hand, seems to enjoy an upward trend in its usage graphs. It has to be stated that despite the difference in trends, Stardoll is able to attract only one tenth of that of Angry Birds. Regarding gaming and entertainment companies at large, below is a table showing the Nordic and Baltic top 5 companies and services on Facebook regarding DAUs. As for the MAUs, the top five companies are listed in the following order. 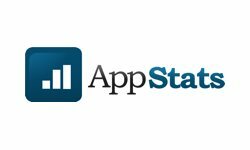 Please note that the data is provided by AppStats and is only comparable between other data from the same company. Update (August 8th, 2.37PM CET): We just received figures for King.com (even though it is registered in the UK) and they’re impressive: 51 270 010 MAU and 11 064 001 DAU. 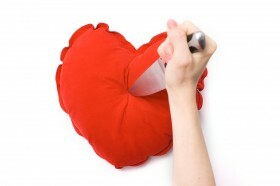 It's Valentines Day: Are You Being Cheated On? Why Read Math When You Can Hear It With ReadSpeaker?